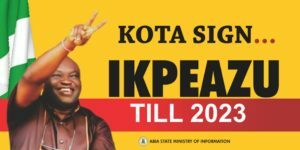 By deliberate design, Trade and Investment are one of the five pillars of the government of Okezie Victor Ikpeazu of Abia State. This is so because the State has Aba as its economic hub. Aba holds lots of both commercial and industrial hope, not only for Abia State but also for Nigeria and the West African sub-region. 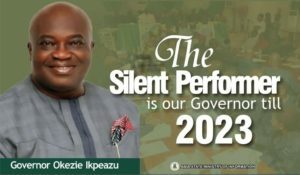 In its continuous effort to get information on sectoral performance of the administration of Governor Okezie Ikpeazu, the Media and Publicity Team of the Peoples Democratic Party in the State, led by the State Publicity Secretary; Sir Don Ubani, successfully sought audience with the Honourable Commissioner for Trade and Investment, Chief Charles Ogbonnanya, yesterday, Monday 6th August, 2018. The Honourable Commissioner was satisfied that the State Government under Governor Ikpeazu has redefined trade and investment. He said lip service to the sector is no longer the case. 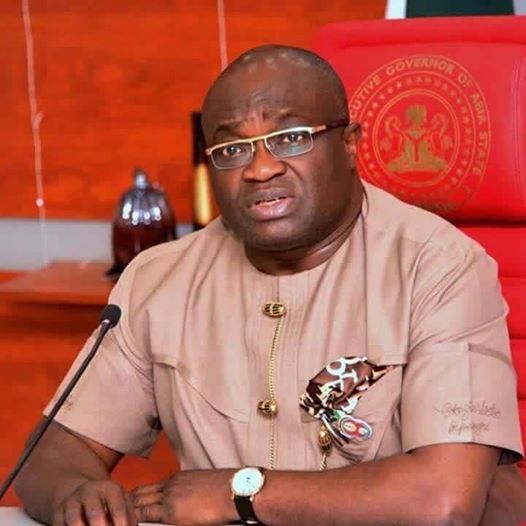 Chief Ogbonnanya felt fulfilled to assert that the PDP government of Dr Ikpeazu has shown commitment to acquisition of technology in order to leverage on the natural endowment of Abia manufacturers. To this end, he said the Governor had facilitated some shoe makers to travel to China. According to him, that singular experience has translated to better quality and quantity of products of Aba shoe makers. The Honourable Commissioner informed the Team that the Governor has considerably addressed the problems of road infrastructure in and out of Ariaria International Market. He said traders in the market no longer wear rain boots in the market due to flooding. He was particularly happy with the dual carriage-way that has become the latest infrastructural sign post of Ariaria International Market. 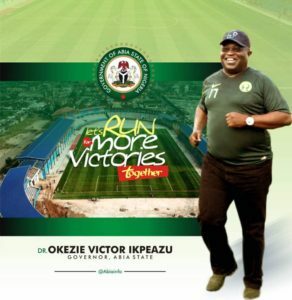 Chief Ogbonnanya was happy to state that the administration of Governor Okezie Ikpeazu has painstakingly solved the problem of epileptic electricity in Ariaria Market. He said traders in the market now enjoy regular electricity supply and that has gone a long way boosting their productivity and profitability. The Commissioner, also known as Evulogu Ibeku, told the Team that the Governor has so meaningfully impacted on traders in the State that they, on their own, organized a Solidarity March on the 14th of June this year to pledge their unflinching loyalty and support to the Governor. At that juncture, Evulogu informed the Team that Shoe makers from the State are currently in South Africa, on exhibition of their products. 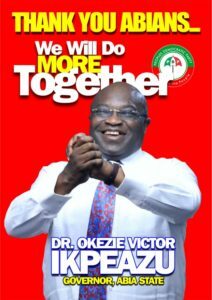 He also said that arrangements are on top gear for Abia shoe makers to visit Greece. He pointed out that the State Governor has been the major marketer of Made-in-Aba shoes and dresses. 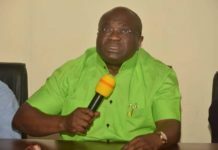 Chief Ogbonnanya expressed gladness that conducive trade environment created by the Ikpeazu administration has now made it possible for the young to venture into trade. 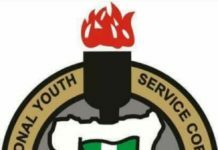 Such youths have become employers of labour instead of searching almost endlessly for white collar jobs that are in short supply. On factors militating against effective function of Ubani-Ibeku Market, the Commissioner attributed it to indiscipline. According to him, many landlords in the State capital have illegally converted their residential premises to commercial houses, making it possible for traders who, ordinarily, should be operating at Ubani-Ibeku market to now return to the State capital to trade. He said with time and political will, the matter would be addressed. On the issue of alleged multiple taxation on traders in the State, Chief Ogbonnanya stated that the government now adheres strictly to laws governing taxation in the State. 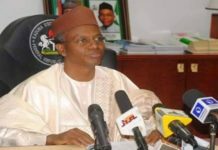 Further more, he said one very vital step the State Government has taken in order to do away with multiple or even double taxation is ceding of collection of revenue due various Ministries, Departments and Agencies to the Board of Internal Revenue. He also said that the Government now makes use of a revenue consultant and publishes taxes meant to be paid by Abia tax payers. Accordingly, this means that any tax window not contained in the published list can not be paid for. Of exceptional interest to the Team was when the Honourable Commissioner informed the her that he was at Ariaria Market last Tuesday to personally monitor the issue of collection of levies in the Market. He said he banned all forms of illegal collection of levies in the market. Specifically, he instructed all women who sell their ware on tables not to pay any levy to any person as approved levies can only be paid by traders who occupy stores and not poor women, a good number of whose goods are below five thousand naira. On 2019 general election in the State, Chief Ogbonnanya said even though the State Governor has done very well, the Peoples Democratic Party in the State should not underrate the opposition. He advised that nothing should be taken for granted. He expressed worry about the attitude of some stakeholders of PDP in the State. He said it was painful that a good number of the stakeholders do not even know the voting strength of their polling units. He frowned at the inability of stakeholders to call for meetings of the Party in their respective Wards. He noted that the worst thing that could happen to a political stakeholder, whether he or she occupies a political office or not, is to allow his or her political Party to be defeated in an election, as that alone can render him or her politically redundant and irrelevant. The Evulogu-Ibeku expressed disgust and total disappointment with the APC federal government of President Muhammadu Buhari . He said Nigeria had never experienced the type of killings that have become the order of the day under APC, without any arrest. Going spiritual, the Honourable Commissioner drew the attention of the Team to the fact that many Churches and Mosques had prayed against former President Goodluck Jonathan’s PDP Government. He said though Jonathan’s government was people-oriented, God, in His wisdom, granted them their prayer and, so, PDP was defeated in 2015 general election. Now that it has become obvious that Nigerians have realized their mistake and are calling for the return of PDP, Chief Ogbonnanya advised that PDP should go back to the Churches and Mosques and destroy, through prayers, those altars that were raised against PDP.